It is that time of the year! The GGJ is here! Like last year, the community of organizers across India got together to scout out locations and get their city locations going. As a result we have 8 Jam locations across various cities in India. The usual suspects are Bangalore, Delhi, Hyderabad, Kolkata, Madurai, Mumbai and the new comers this year are Trivandrum and Vijayawada. We are super excited this year with so many locations and so many people joining up to jam. 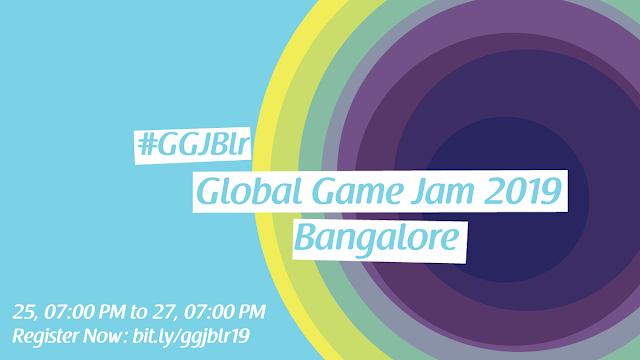 Moonfrog Labs hosts the 7th GGJ Bangalore 2019. The last time we checked we have over 155 registrations. We have about 24 hours to go and did we tell you that we were excited!! ?